Ola offers TaxiForSure to bring you the lowest cab ride in your city. You can get a cab ride starting at just Rs.8/km by TaxiForSure option using Ola App. You can travel in peak hours at non-peak fares. Using OLA's TaxiForSure offer, there will be no peak pricing. So, you can travel at Rs.8/km - every time of the day or night. 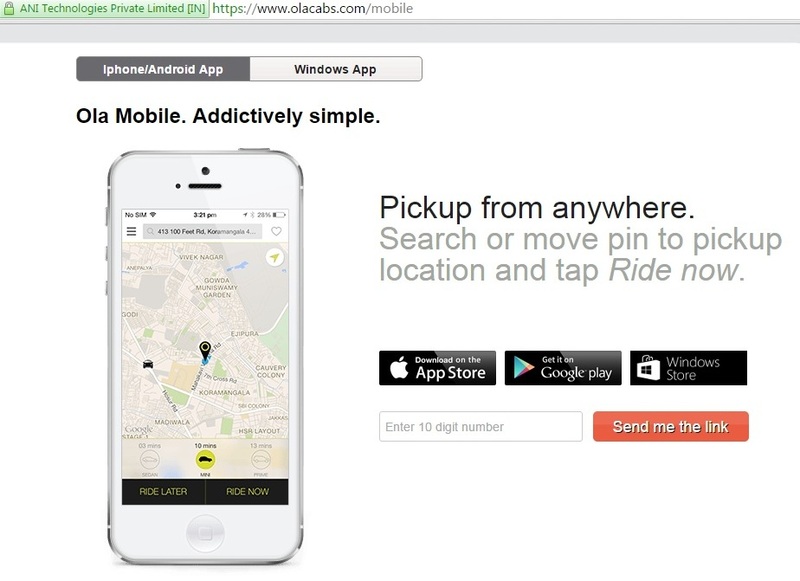 How to avail Ola TaxiForSure offer? 1. Open the OLA app. If you do not have OLA App already installed in your mobile device, you can install OLA App by visiting here. 2. There will be a icon for TaxiForSure. Tap the TaxiForSure icon. 4. Book the cab at Rs.8/km using TaxiForSure. There will be no peak pricing on TaxiForSure. 1. The offer is applicable only when you use TaxiForSure icon in OLA App. 2. OLA's own terms and conditions are applicable.